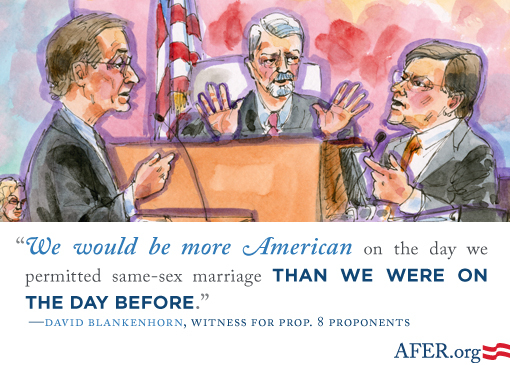 Since he took the stand in 2010 David Blankenhorn has changed his view about marriage for gay and lesbian couples. In a June 2012 New York Times op-ed, Blankenhorn concluded that “the time has come for me to accept gay marriage and emphasize the good that it can do.” “[T]o my deep regret, much of the opposition to gay marriage seems to stem, at least in part, from an underlying anti-gay animus,” Blankenhorn wrote. 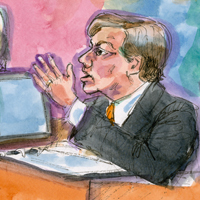 Watch all of the play “8,” based on the actual trial testimony.